Why play by the rules? 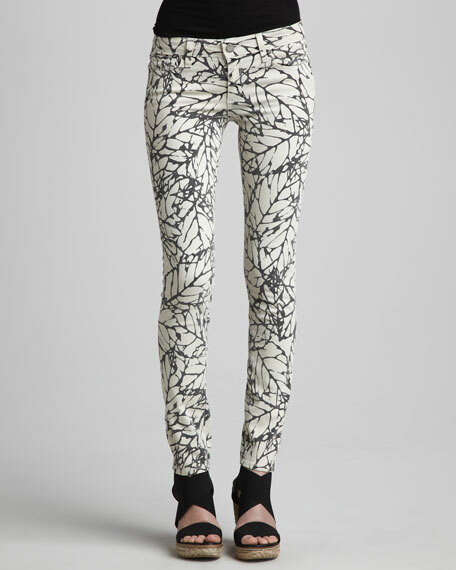 These Paige Denim skinny jeans adopt a luxurious, playful, and rebellious stance. You'll love mixing the optical print with basic and patterned pieces alike. Skyline cut in leaf print. Five-pocket style; contrast stitching across back pockets.